In 2005, the Palestinians requested a massive boycott of Israel and Israelis. This has resulted in a number of actions in Europe: calls for ceasing to use particular Israeli products and resolutions approving academic boycotts in a number of institutions. Most recently, the American Studies Association has joined in sanctions against Israeli academic institutions. But these will not succeed until a hermetically sealed economically punishing boycott is effected on the State of Israel. I'll show how that can be done. An impressive list of Palestinian organizations can be found on the call for sanctions against Israel. The request is for the isolation of Israel from the international community until it ends the occupation and dismantles the Wall, allows all the refugees to return to their pre-1948 homes within Israel proper and recognizes the rights of Arab citizens of Israel to full equality. I will not at this point go into an explanation of how that is, in fact, a call for the dismantling of Israel as a nation and its absorption into a greater Arab Palestinian state (and how long that would survive as an independent state before the neighboring Arab countries started fighting on how to divide up the land among themselves). Nor will I contest the last comment, which ignores the fact that, while discrimination does exist (since Israel is far from being a perfect society), Arab citizens are equal before the law. The purpose of this article is not to defend Israel but, rather, to suggest the best way to punish us. When I was a student of agriculture in the mid-1970s, first in Winnipeg and later in Reading, I met students from Arab countries. One student from Iraq told me that in spite of the obvious boycott against the enemy Israel, he did know that Iraq was importing Israeli vegetables through a third, neutral country. He didn't tell me how he knew the vegies were Israeli, but perhaps as a agricultural specialist he really did know. Perhaps that crack in the economic boycott wall is the secret behind Israel's stubborn survival and that gave me the idea that, in order for a boycott to be successful, it must be sealed hermetically. 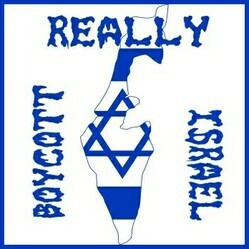 To make a truly effective boycott campaign, you need to cease buying and using all Israeli products. What follows is a list of Israeli products you are advised NOT TO BUY. Remember, any crack in the wall means that Israel will still function as an economically viable state, so be careful next time you go shopping. We devious Israelis will not make your task any easier by putting an Israeli flag on the packaging nor by writing anything in Hebrew anywhere in sight. If the product is white with a particular shade of blue that might be a hint regarding its origins, but don't expect these colors to feature on all Israeli products. 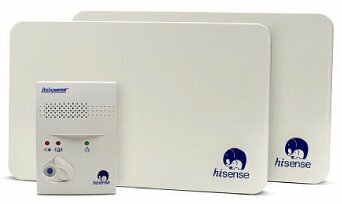 Babysense is an Israeli invention that features a crib-based sensor that measures the baby's breathing and movements, and sounds a warning if either go beneath a certain critical level. 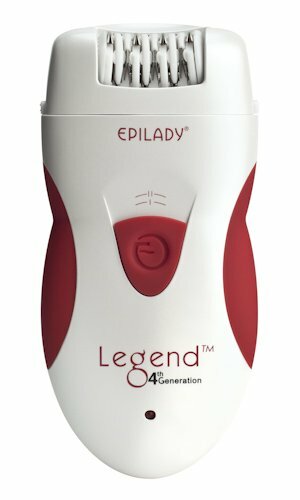 In 1986, a kibbutz in Israel invented Epilady. It was the very first mechanical hair-removal tool on the market and because people insist on continuing to buy it, they have been updating and improving them all the time so that now women say it hardly hurts to take the hair off their legs. Even if you buy a similar product from another manufacturer, you are indirectly supporting Israeli industry, so you are safest to continue shaving or waxing - or, you could just leave your hair on your legs as nature created you! This little gadget is an Israeli invention. Every time you use one, you are supporting Israeli innovation even if you do not support the economy by buying from a company without ties to Israel. SanDisk was founded by three people, one of whom is Israeli (he is no longer with the firm). There is still an Israeli Vice President on the payroll, so you may want to stay clear of all SanDisk products, such as memory cards for cameras and some games, SSDs and other products, some of which have been snuck into your computers, showing total disrespect for BDS. Before your next purchase, make sure you ask your computer retailer if there are, by chance, Israeli components in it. If he or she looks at you with a totally confused expression, make sure to verify for yourself the origin of all the hardware in the computer and only buy it if there are no Israeli parts in it. Chances are we tricky Israelis have found our way into many of the computer products on the market so you may have to look around for quite some time until you find one without. Israel is known for its security-related products, one of which is the Rav Bariach Security Door. The first steel door with multiple cylinders that penetrate the door-frame when locked is an Israeli invention. These are now sold around the world, protecting homes and offices from burglary so before install your next new door, make sure it is not one from this Israeli company. Given the arid conditions over much of Israel, a kibbutz near the desert invented drip irrigation to more efficiently use sparse water resources and still get good crop yields. Do not support Israeli agricultural innovation by using these. GridON is a device that protects electric grids from the harmful effects of sudden electrical surges and other faults. You will not use this in your home because it is built for large industrial applications. While their homepage talks about Australian and UK affiliations, you find out on their "About Us" page that it is an Israeli invention. Therefore, check with your utility company to make sure they are not using this technology and insist they find something without an Israeli connection (so to speak). If you need some intestinal imagery work for diagnostic or other medical purposes, do not let your doctor make you swallow a Pillcam, this little thing that travels through your digestive system, allowing the doctor to take all the images that are needed. Instead, insist on the tried and true invasive and sometimes painful old-fashioned methods. Pillcams are made by Given Imaging, a huge company located in the industrial area of Yokneam, a town I used to live in and still love. Even kids' games are not free of Israeli influence - It says "Made in the US", but don't let that fool you. There are so many more Israeli inventions I could present here, but I think you get the idea - and besides, I don't want to bore you with an exhaustive list. The point is, if you want a boycott against Israel to succeed, you have to act fast - we are already so active in computer technology, medical innovation and even children's games it makes your head spin. If you want to hamstring the Israeli economy you better close it down now before closing us down comes at the peril of life as peoples the world 'round have all come to know it. My Blog on "Times of Israel"
"Times of Israel" is an online news site. I have a blog there in which I discuss current events in the Middle East, especially Israel. Yes Michelle! That would really be getting back at us upstart Israelis! Thinking of returning my Israeli made tooth implants! Oh what decisions I must face!!!!! Glad you enjoyed this Tolovaj. And there are many more inventions I left out. Maybe I should make a sequel. I had no idea so many inventions come from Israel. But again, knowing how many world class scientists have roots in this country this it not surprising at all. Thanks for widening our horizons! Appreciate your clever article. Hope it gets the attention it deserves. I see it has gained a few thoughtful comments which it well deserves. teddletonmr and BrendaReeves - thanks for your comments. Linda - Thanks for your feedback and for reminding me about SodaStream. I didn't think about the matter of jobs for the Palestinians within Israel and the Territories who depend on them for their livelihoods and to support their families. Creative and clever - great piece! The BDS movement is not only based on misinformation and malicious lies, it also brings great harm to the Arabs who they claim they want to help. For example, there is currently a boycott campaign underway against SodaStream, the hugely-successful Israeli company that produces machines that makes carbonated drinks. Of course, the people of BDS don't care that a successful boycott of this company will throw almost 1,000 Arabs of Judea and Samaria out of work - as long as they succeed in bankrupting an Israeli-owned business. This same hypocrisy is at the centre of the boycott of settlement products that BDS and the EU have targeted. So vicious is their bigotry against Israelis that they would just as soon destroy an Arab as long as they destroy a Jew. Such is the malevolence of this pernicious movement. By the way, it may interest your readers to know that there is a group called Buycott Israel, whose members counter the boycott movement by literally buying targeted products right off store shelves, forcing merchants to restock rather than discontinuing the merchandise. They can be found here if anyone wants to get involved. Keep up the good work, Sheri, and bravo! bravo! on a great article. Very interesting Sheri. I've heard of the pillcams, but don't know of them being used here in the U.S. yet. I hope they catch on here. Why are There Two Annunciation Churches in Nazareth? You don't have to be a believer to be entranced with the idea of standing in the spot where Jesus is believed to have announced that He is The Messiah. The Roman Catholic and Greek Orthodox both built churches over spots that each believes the Angel Gabriel announced to Mary that she would give birth to Jesus.